I loved the story so much that I listened to it twice! The complicated relationships Hixon and Greta have with previous partners only adds to the story and makes it richer. I only trust Kristen Ashley with telling me a story like that. The dual narration was excellent and necessary for this book. I know I'll be listening to Complicated for a 3rd time in the future. 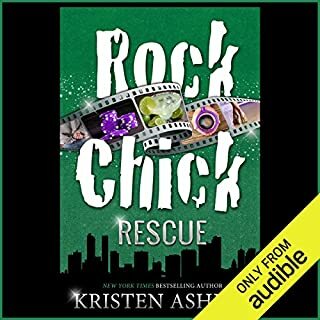 What made the experience of listening to Rock Chick Rescue the most enjoyable? 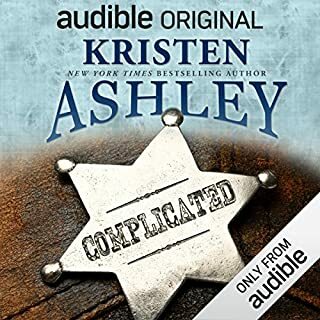 I'm a self-admitted Kristen Ashley fangirl. Having read this book at least 4 times, hearing it come to life was great. I am LOVING the narrator for this series. Really enjoy her male voices. KA has a huge cast of characters but the narrator had such distinctive voices that I never had a problem understanding who was talking. Even when it came to Tex and Duke and all the miscellaneous Hot Bunch guys. Her Ada was hilarious, Daisy's accent make me a laugh and every time she uttered Jett's "Dear Lord" I cracked up. Can't wait to finish listening to the rest of the Rock Chick books.